It is amazing what people accidentally do to their equipment. LCD Repair is a common service for iTech Xpress. 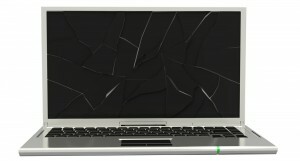 Just because you have cracked the LCD screen on your computer does not mean you need a new laptop or desktop monitor. We do LCD screen repair for laptops, smart devices and desktop units for Los Angeles County and the communities of Glendora and San Dimas. We are professionals, and we work on LCD screen on laptop computers, computer monitors and even iPhone and Samsung smart devices. We offer free diagnostic with an estimate. We offer fast, comprehensive services because we know that your device is a critical part of your life and or business. We offer a guarantee on computer parts and services. We focus on computer and smart device repairs, but we also focus on delivering high caliber customer service too. We want your business, not just today, but for life. We stock a full parts wall because it makes repairs faster. If we have your part in stock, you don’t have to wait for the part to arrive in the mail. We are nonjudgmental – we understand that life happens. It is bad enough that your device is broken. We focus on fixing it quickly so you can be back in the groove. We offer high caliber service and quality parts. We want you to be happy with our service. We are an integrity driven business. LCD TV: If your LCD TV is broken, bring it by. We will evaluate and let you know what is wrong with it. Laptops:We service laptop computers and can fix the LCD screen or other problems. Desktop Monitors:We work on desktop monitors including LCD and touch screen monitors and offer full computer repair services too. Smart Devices:We are a full-service smart device repair service. We fix screens, ports, software issues and more. We have been serving the Glendora community for years. We offer a competitive price and outstanding service. We provide service to individuals and businesses. We offer a one-stop shop for your entire computer and smart device needs. We offer same day service for some repairs but reserve the right to focus on quality service. If you have an LCD screen issue on a laptop, desktop or smart device, just bring it by and we will give you a comprehensive estimate on any repair.